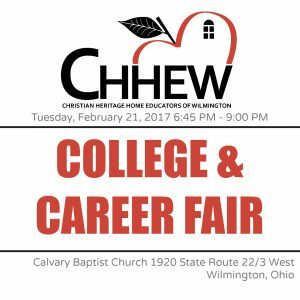 CHHEW College and Career Fair is Tuesday, February 21st!! You must register for this event! The event is open to all homeschoolers 7th-12th grade and their families. Teens will be able to attend 4 sessions to hear from numerous professionals about their chosen career field (dentistry, aviation, mechanics, massage therapy, education, counseling, youth ministry, military and more). Parents will have their own sessions that they may attend. 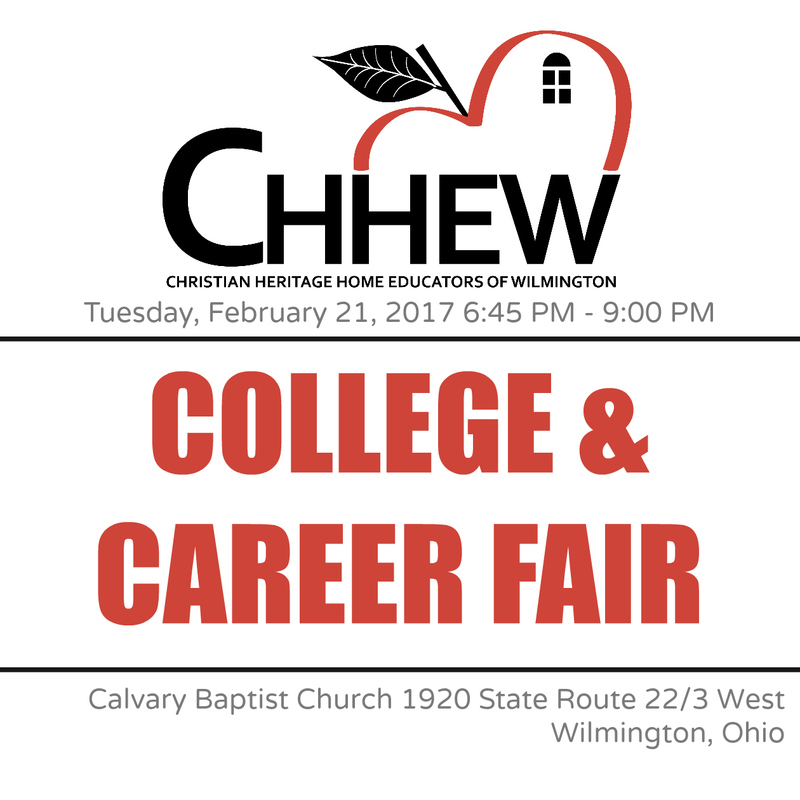 And there will be lots of colleges to visit and talk with about the application process, College Credit Plus and financial aid. Register by emailing Miranda Lamb at steadfast1998@gmail.com or call or text 937-302-8123. Cost is $3 per CHHEW family/ $6 for non-CHHEW families.